As readers may recall, last week was Mardi Gras and, despite nature’s best efforts to quite literally rain on the parades, the annual litany of beads, costumes, king cakes, and excess came and went. 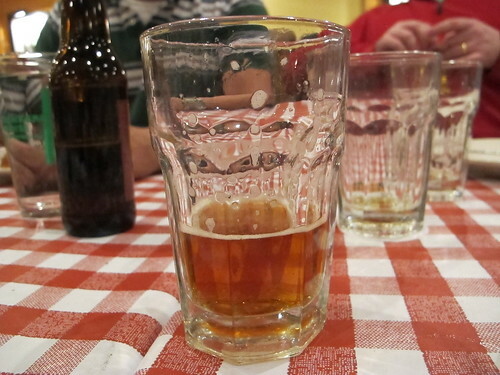 However, for those of us that were unable to attend the larger festivities, there was solace in a beer dinner. In celebration of Mardi Gras, Sal & Mookie’s partnered with the Knott brothers of Bayou Teche Brewery to bring Jackson a Lundi Gras party. Never one to intentionally miss a beer dinner, I joined the usual suspects, Sam & Stephen, for another celebration of fine food and brews. 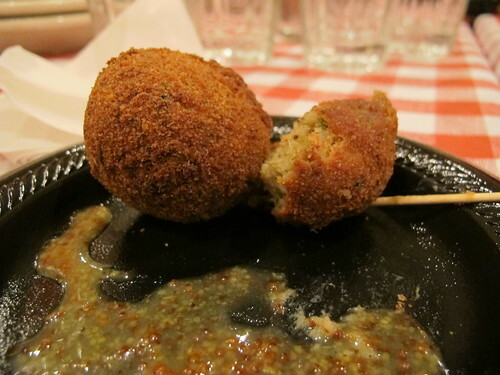 In Louisiana tradition, this beer dinner featured a little lagniappe, beginning with a Grenade punch and fried boudin boulettes. Heavily seasoned pork and rice, fried and served with mustard is a fine start to any meal. 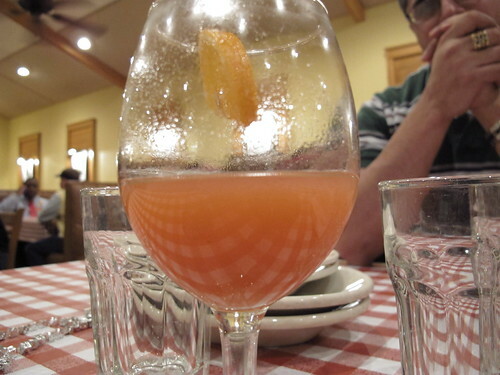 Paired with the boudin balls was a hurricane style Grenade punch. Made with Bayou Teche’s passion fruit passionné beer, this hurricane may lack the alcohol punch of your usual hurricane but the bold fruit flavors more than make up for it. Once everyone was seated, the second beer of the night, Bayou Teche's first seasonal beer, the courir de Mardi Gras, was brought to the table. 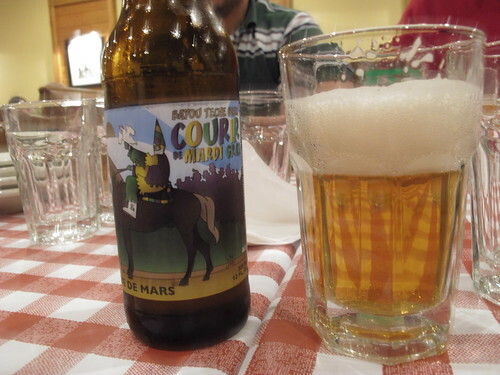 A French style biere de Mars, the courir de Mardi Gras is only available during the Mardi Gras season. 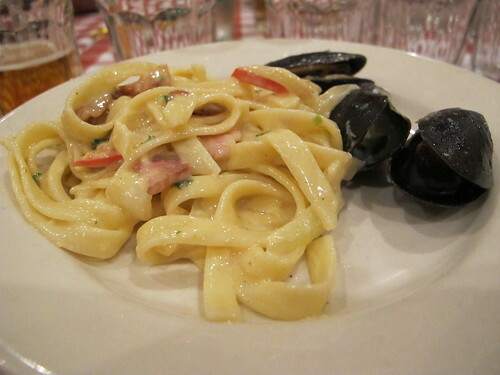 With promises of anise flavor, a plate of fettuccine with Tasso, mussels, red bell peppers, and fennel in a Pernod cream sauce accompanied the courir beer. Oddly enough, even with fennel and Pernod, there wasn’t much anise to this pasta. 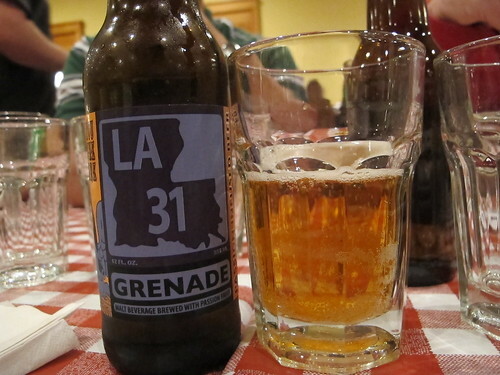 Making a second appearance, the Grenade was the next Bayou Teche creation. On its own, the passion fruit flavor of the Grenade is much more subtle than the hurricane. 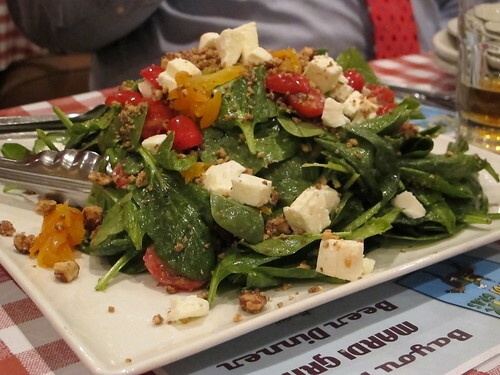 Typically a high point of a Sal & Mookie’s beer dinner, this salad of baby spinach with grape tomatoes, dried apricots, roasted yellow bell peppers, toasted almonds and buffalo mozzarella in a passion fruit vinaigrette, while perfectly fine on its own, did not live up to the salad standards of previous beer dinners. 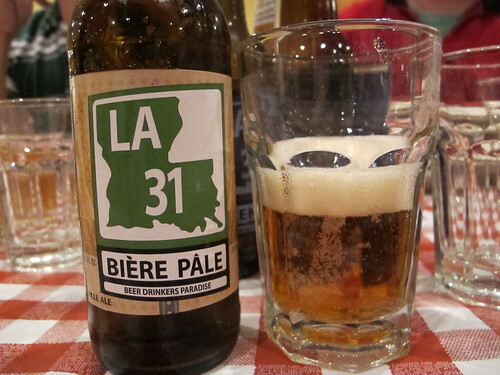 Touted as a beer for all things Cajun & Creole, the LA 31 Bière Pâle was the third beer of the night. Belgian malts & American yeast and hops make for beer tailor made for south Louisiana. 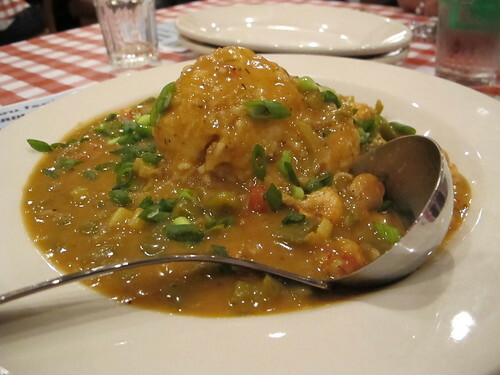 A fine way to test that claim was a Louisiana crawfish étouffee with Ellis Stansel’s popcorn rice. 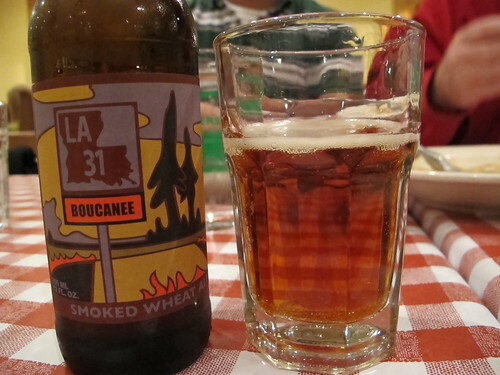 Nearing the end, the Boucanée is homage to the cherry wood frequently used for smoking meats in south Louisiana. On its own, the beer was a little odd. The smokiness seemed out of place. 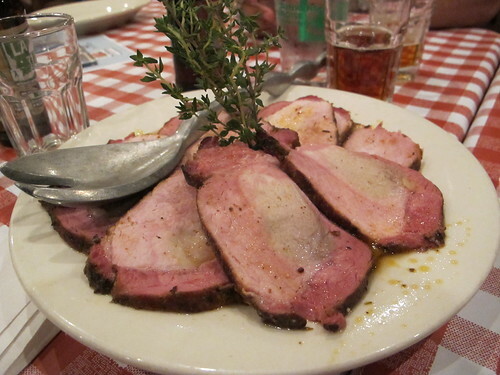 But when combined with the cherry wood smoked Compart Family Duroc pork loin with white bean and tomato puree, the beer’s unique flavor shone brilliantly. 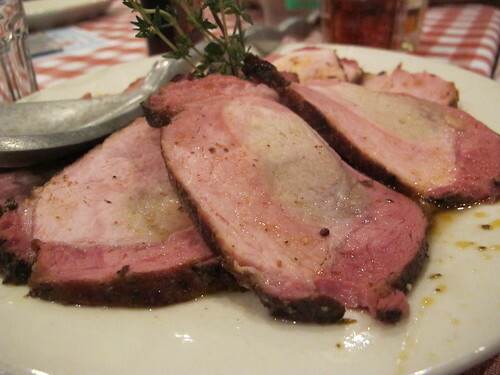 Sure, it’s a more refined version of pork and beans but for the smoked meat fans, it worked. Somehow, the Knott brothers were able to craft a Belgian Dubel that was legal in Mississippi. Called a Mellow Dubel, this beer’s flavor was true to its name. 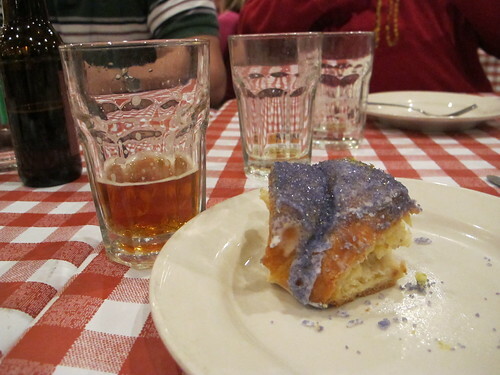 Paired with a slice of Broad Street Bakery King Cake, it was a fitting end to the Lundi Gras dinner. 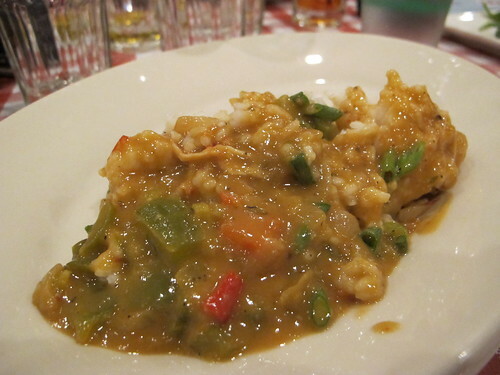 While the attendees of this dinner may have missed out on the parades of the city and the courirs of the country, Sal & Mookies and Bayou Teche still put on a crowd pleasing beer dinner. It may not have been Bourbon Street, but boudin balls, beads, and Louisiana beer were still a nice consolation.